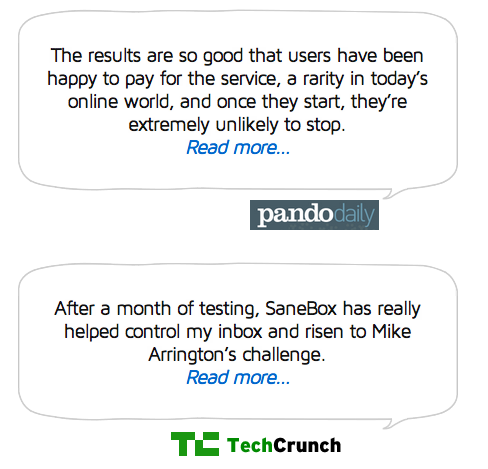 Happy SaneBox Users and Press – Thank You For The Mentions! While we don’t mind tooting our own horn here at SaneBox HQ as we are incredibly proud of helping to make inboxes sane one user at a time, we are very pleased when others do it for us. Check out some samples below and be sure to check out out Happy Users and Press pages for more feedback on our product!